This beautiful barrel back chair is a unique addition to the living room in your home. Featuring tapered wood legs in a dark finish, with an arching back, and slightly flared arms, this chair is sleek in design. 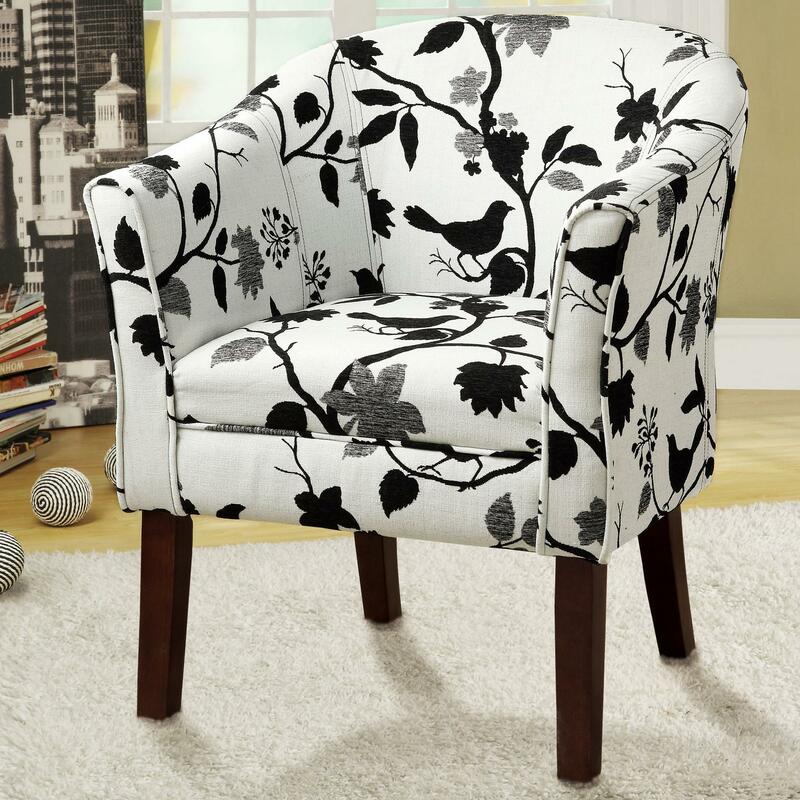 The floral black and white chair upholstery adds a smart and distinctive look to a multitude of locations in your home. The Accent Seating Upholstered Accent Chair by Rooms Collection Two at Rooms Furniture in the Houston, Sugar Land, Katy, Missouri City, Texas area. Product availability may vary. Contact us for the most current availability on this product. Arm Sloping flair tapered arm.